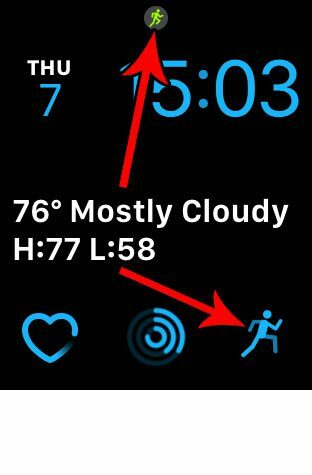 You are here: Home / Mobile / Why is There a Running Man on My Apple Watch? Why is There a Running Man on My Apple Watch? 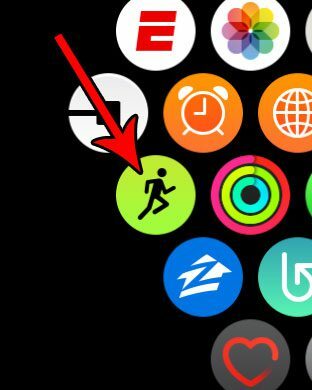 Is there a tiny green notification at the top of your Apple Watch face that looks like a running man? Or is the Workout complication on your Watch face moving? Both of these things are indicative of an active workout on the Apple Watch. It’s relatively easy to start a workout by accident on the Apple Watch, so you might occasionally discover that there is an active workout occurring on the device. Our tutorial below will show you how to open the Workout app and end this so that the notification and the animated complication disappear. The steps in this article were performed on an Apple Watch 2, using the 4.2.3 version of WatchOS. Note that the icon that we will be removing is the one that looks like a little green running man that is appearing at the top of your Apple Watch face. 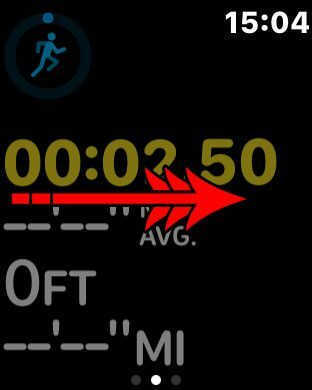 Depending on the watch face that you are currently using, there may also be a workout complication where there is an animated running man as well. Completing the steps below is going to open the workout app so that you can end the current workout, which will remove the workout notification icon and stop the running animation. Step 1: Press the crown button on the side of your watch. Note that I have identified both the workout complication and the notification icon in the image below. Step 2: Open the Workout app. Step 3: Swipe to the right on the active workout. 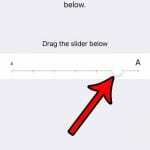 Note that you may need to start the swipe from the edge of the left side of the screen. Step 4: Tap the End button. 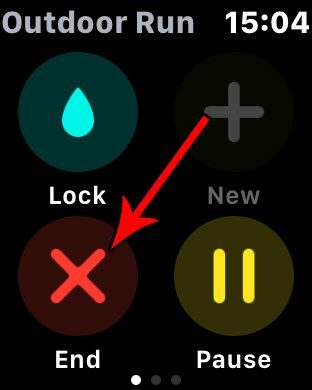 You should now be able to press the crown button on the side of the watch to return to the Home screen, where the Workout notification should now be gone. Tired of the constant notifications from the Breathe app? Find out how to stop Breathe reminders on an Apple Watch if you aren’t using them.